The 10 days wildlife tour in Uganda is more else a10 days Mount Elgon hike, Kidepo Valley & Murchison falls wildlife safari Uganda. To Eastern and Northern Uganda, this is a wholly wildlife and adventure trip in 10 days. On the 10 days wildlife safari Uganda, you tour Mount Elgon National Park, Kidepo Valley National Park, Murchison Falls National Park, Budongo forest and Ziwa Rhino Sanctuary. To Eastern and Northern Uganda, this tour features Jinja source of the Nile tour for a boat cruise to the source of the Nile River, Sipi falls hike at Mount Elgon National park, game drives and community tour at kidepo Valley Park, a game drive, boat cruise and hike to the top of the falls at Murchison falls park, chimpanzee trekking at Budongo forest and Rhino tracking at Ziwa Rhino Sanctuary. Day 1: Setting foot at Entebbe international airport, your Uganda safari driver guide will meet you and help with the transfer to a booked lodging facility in Kampala. Day 2: After early morning breakfast, you are driven to Mount Elgon national park with a stop at Jinja for a boat cruise to the source of the Nile River then continue arriving to Kapchorwa in the evening. Day 3: Early morning after breakfast, you take a Sipi falls tour to the beautiful falls of Kapchorwa with a hike to the top of the falls. 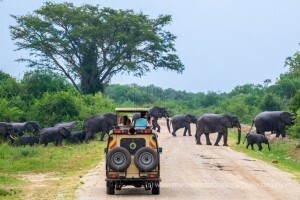 Day 4: From Kapchorwa after breakfast, you continue with your tour in Uganda with a drive to Kidepo Valley National Park driving past dotted landscapes of the African wilderness. 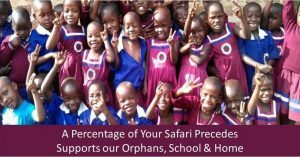 Day 5: You spend the day within the untouched Kidepo valley along the Narus river as you take a game drive and community tour in the golden valley of Kidepo. 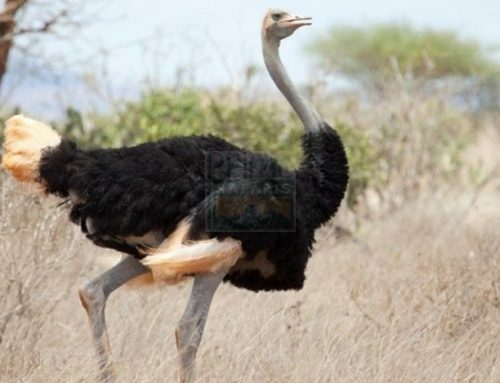 you have lunch and then continue with an evening game drive. Day 6: In the morning, you take another game drive then embark on a road drive to Gulu town in Northern Uganda where you spend the night. Day 7: After a relaxed breakfast, you are driven to Murchison Falls national park where you spend a night at an accommodation facility close to the park. Day 8: You start the day with a warm African cup of coffee, go for a morning game drive, have lunch, go for an evening boat cruise and then hike to the top of the mighty Murchison falls. Day 9: After breakfast, you are driven to Budongo forest adjacent to the prominent Murchison falls park for chimpanzee trekking then spend the night in Masindi. Day 10: in the morning you are driven to Ziwa Rhino Sanctuary for a 2 hours Rhino tracking experience then continue to Entebbe international airport for a departure flight. On setting foot at Entebbe international airport at the shores of Lake Victoria you meet a Uganda tour driver guide who welcomes you to Uganda. Your driver guide ensures all transfers from the airport to a booked hotel in Uganda Kampala. During the drive the guide briefs you on the general safari details where after you arrive, check in and spend the night as you relax from jet lag. Following early morning breakfast at your hotel, your driver guide will help you to check out and start the drive to Eastern Uganda. After about a 2 hours and 30 minutes’ drive, you stop at the Nile River in Jinja for an adventure experience. Here, you take a boat cruise to the source of River Nile then after be driven to Kapchorwa in far Eastern Uganda. 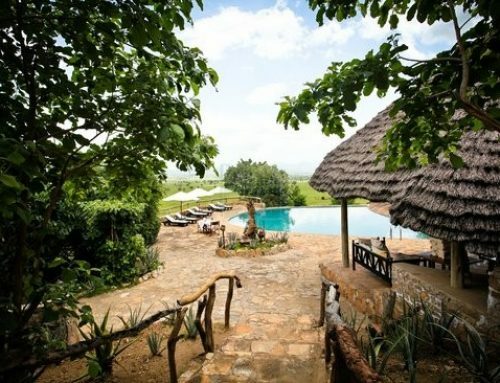 Arriving in the evening to Kapchorwa, you check in, relax and spend the night at an accommodation in Mount Elgon National Park that was prior booked. You can take a coffee tour in the evening to the community with a local guide who takes you through the process in which coffee is produced locally. Waking up in a cool countryside is one of the amazing moments of this trip on this day. After breakfast, you take time to tour the beautiful countryside at the foot hills of Mount Elgon to Sipi Falls. The three falls are also known as the most beautiful falls in Uganda filled with a beautiful green backdrop. On a full day hike, you are able to visit all the three Sipi falls within this beautiful flower, birds, waterfalls and stream filled paradise. Expect to spend the day within this beautiful haven with picturesque waterfalls and caves. Here you will take several memorable pictures then after return to your lodging facility in the evening. 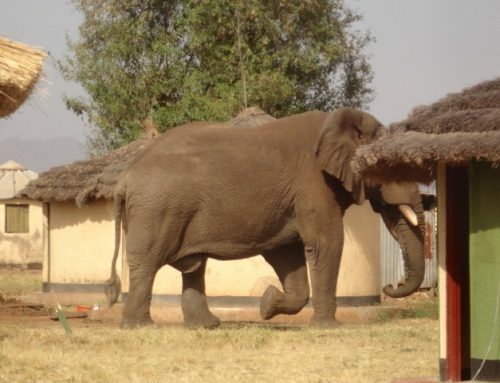 When you finish having breakfast at your lodging facility, you embark on a driven to the golden plains of Kidepo Valley national park for an amazing wildlife safari in Uganda experience. For about 7-8hours, you go past beautiful landscapes as you leave the beautiful towering Mount Elgon down to the plains of Karamoja. Going through the golden heart of Kidepo Valley-Moroto town you see the different life styles of the Karamojong people as they spend their daily life. 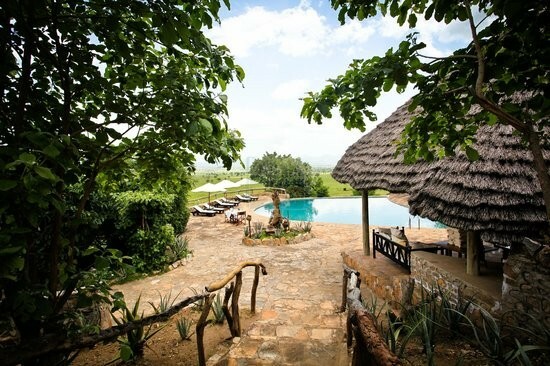 Arriving in the evening, you check in, have dinner and spend the night at an accommodation in Kidepo valley national park. 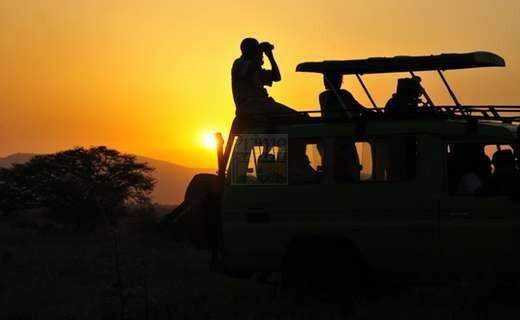 Be up before sunrise, have breakfast carry your packed lunch and take a drive using a 4×4 safari vehicle to kidepo plains for a game drive in the untainted wilderness of Kidepo. 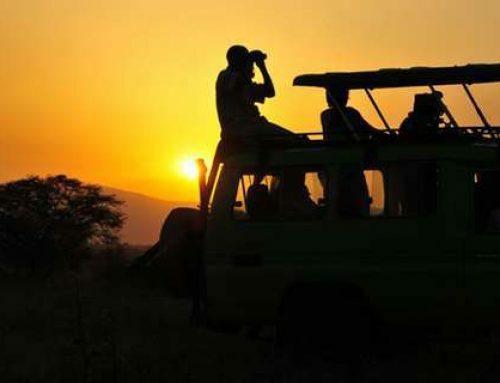 Visiting the Narus Valley you are offered chance to wildlife sightings of Elephants, herds of Buffaloes, Antelopes and Zebras with luck for a cheetah sighting. This is the permanent water source at the park and definitely where to spot several wildlife species as they quench their thirst. 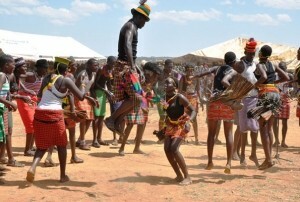 In the afternoon after lunch, you visit the Karamojong community where you learn about their culture, unique housing, ornaments, handmade crafts and probably try a local beer and dance. You return for dinner and an overnight stay in a lodging facility in Kidepo. You wake up to yet another morning game drive through the beautiful rugged horizon of savanna grasslands as you observe a profusion of animals on a drive through the two main biomes of Kidepo from Narus Valley to Kidepo valley. Endemic cats such as the Cheetah, Stripped Hyena, Aardwolf, Bat-eared Fox, and Caracal are part of the major sightings on this day of your Uganda wildlife tour. After about 2-4 hours, you return to your lodging facility, have lunch, check out and embark on the drive to Gulu town in Northern Uganda where you spend the night. You have a relaxed breakfast at your hotel then embark on a beautiful drive past the savannah plains of northern Uganda to Murchison Falls National Park for a more rewarding Uganda wildlife safari experience. On arrival, you check in and relax for the rest of the day at an accommodation in Murchison Falls national park. By 7:00am, you are driven to Murchison falls park for a morning game drive that starts at 7:00am depending on your lodging facility. 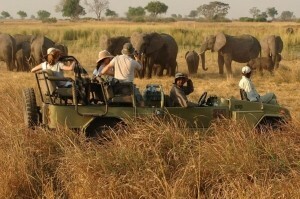 The several wildlife species possibly sighted include elephants, lions, leopards, lions and giraffes. After the 2-4hours drive, you return to your lodging facility for refreshment and a meal before returning for an evening boat cruise. 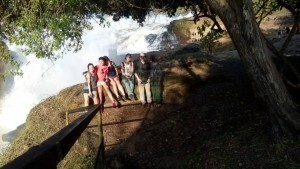 At about 2:00pm you go for a boat cruise to the devil’s cauldron below the mighty and thunderous Murchison Falls. 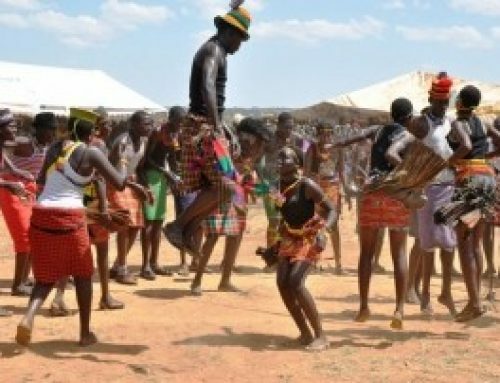 You have a chance to enjoy a traditional dance or watch the natives play traditional instruments at the Paraa jetty point which is the set off point for the boat cruise. Cruising to the bottom of the thunderous falls is an amazing experience as you sight schools of hippos and crocodiles. The bottom of the falls marks the starting point for the hike to the beautiful top the falls where you meet your driver guide for a drive back to your lodging facility. In the morning after breakfast, you have breakfast, check out of the hotel then be driven to Budongo forest for chimpanzee trekking. This is the second-best birding spot in Uganda and you take a trek in the forest for about 4 hours meeting man’s closest relatives. After chimpanzee trekking, you are driven to Masindi town where you spend the night. Early morning after breakfast, you are driven to Ziwa Rhino Sanctuary for Rhino tracking in the only wild home to Rhinos in Uganda. After about 2 hours Rhino tracking, you continue with the drive to Entebbe international airport for your evening departure flight. For an experience of Eastern and Northern Uganda, look no further than taking up a tour that covers all the prominent parks of the regions.